Leo is one of the brighter and more distinctive of the late winter constellations. Lying on the ecliptic, it regulary hosts the Moon and planets. 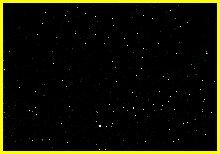 In the first photograph the brighter stars are nearly lost in the hundreds of other stars you don't normally see. The bright intruder below the constellation is Jupiter. 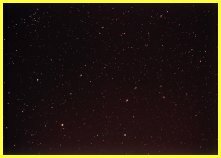 The little cluster of stars to the right of the image is M44, the Beehive Custer, in Cancer, while above the Lion the little four-star grouping is part of Leo Minor. This is from 2004. The second image shows Saturn, not too far from where Jupiter was, in 2009. Mars hit nearly the same spot again in 2012.